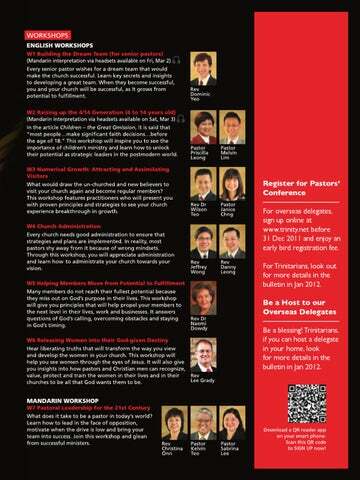 Register for Pastorsâ&#x20AC;&#x2122; Conference For overseas delegates, sign up online at www.trinity.net before 31 Dec 2011 and enjoy an early bird registration fee. 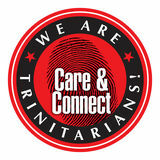 For Trinitarians, look out for more details in the bulletin in Jan 2012. Be a Host to our Overseas Delegates Be a blessing! Trinitarians, if you can host a delegate in your home, look for more details in the bulletin in Jan 2012.